Wishing you all a very happy tamil new year!! 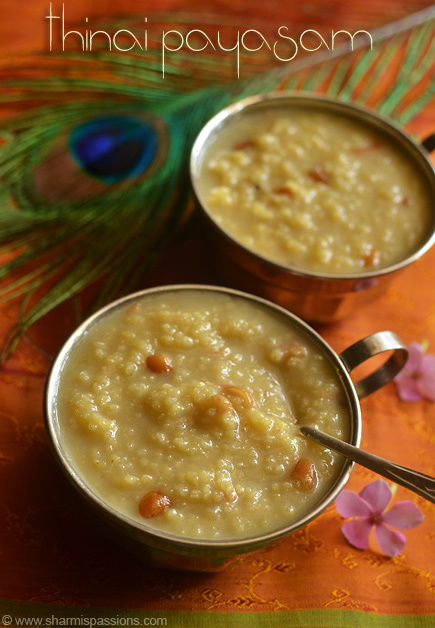 I wanted to try thinai payasam(foxtail millet kheer) since I started experiment with the millet and when I was thinking of some special post for april 14th tamil new year, also I was guilty that I hadnt posted millet recipes for a while now so this thinai payasam was apt. 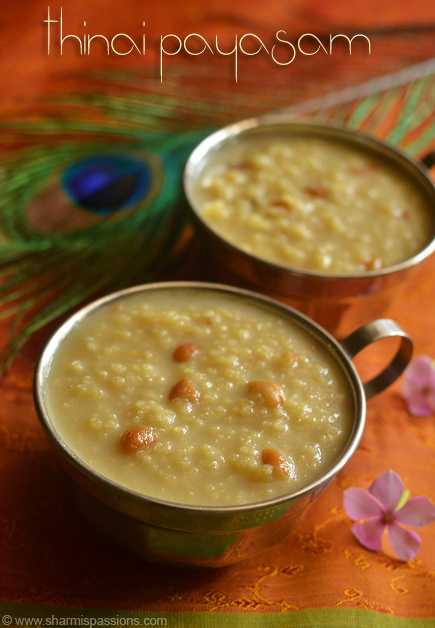 The payasam came out so good, it was creamy and tasty…..Why not try millet payasam for a change am sure you will love it too. 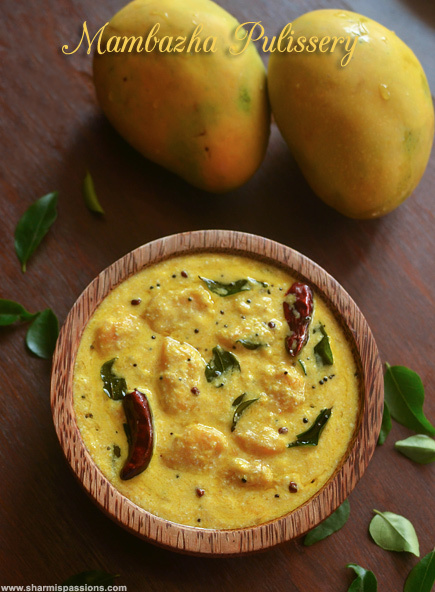 In a tsp of ghee roast thinai till nice aroma wafts and the color changes slightly.Now add water and let it cook till it turns soft.While thinai cooks roast the cashews 1/2 tsp ghee and set aside. Powder jaggery….I used my hand mortar and pestle for this.Measure 1 cup and transfer it to a mixing bowl.Add water to it.Mash it up well, I used my potato masher for this.Strain to remove impurities. 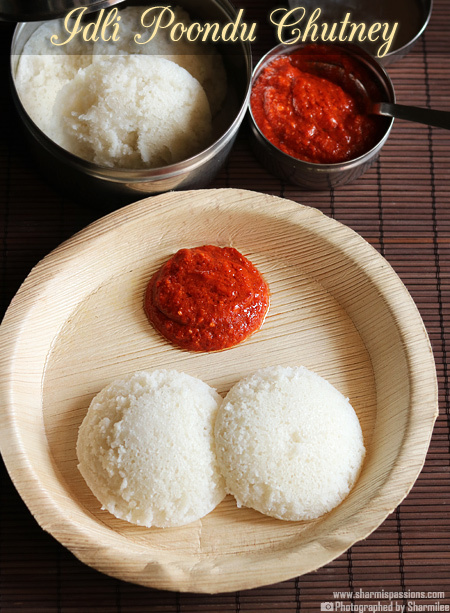 Heat it up to melt it and boil in medium flame for 3mins until frothy and slightly thick.In low medium flame,add cooked thinai and stir well to avoid lumps.Cook for 3mins, Keep stirring.Now add elachi powder. Add milk and keep stirring continuously.One it all combines together, add roasted cashews give a quick mix and switch off. Use milk at room temperature.Take care while adding milk, keep stirring continuosly to avoid milk from curdling. Thinai cooks faster so I cooked it in tawa itself.You can even pressure cook it with 1:2.5 cups ratio for 2 whistles.While cooking thinai dont mash it up, you should be able to feel the texture while eating. 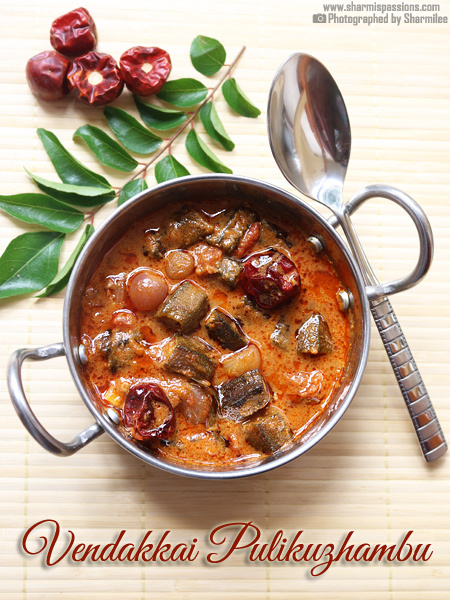 If you want a more richer version then cook thinai itself in milk instead of water. You can even add 1/4 cup coconut milk for extra flavour.Add it after adding milk. 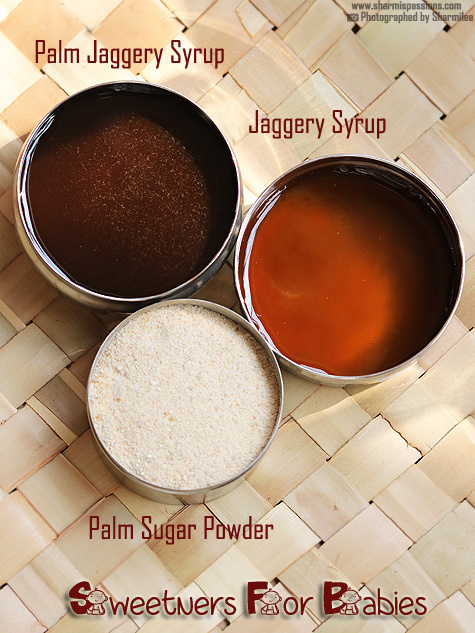 Make sure you make the jaggery syrup slightly thick before adding thinai so that payasam is creamy and not watery. I used normal vellam(jaggery) , you can even use paagu vellam. 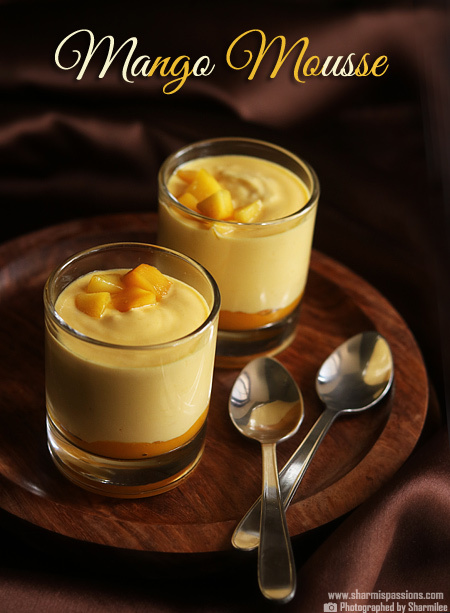 I love this payasam.. yummy and healthy!! very delicious payasam!!! love it.. bookmarked!! 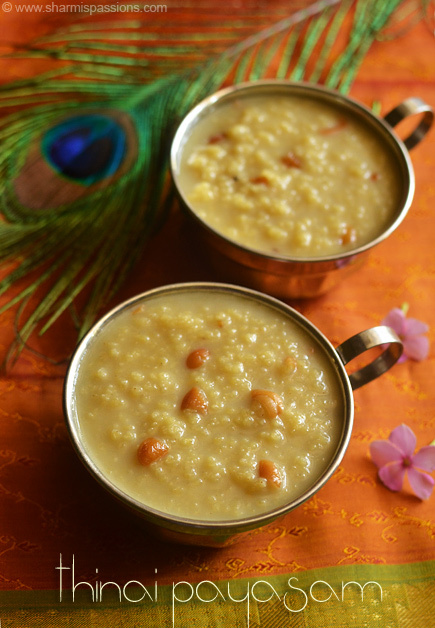 Last week only I tried this payasam for an occasion, it tastes awesome. I tried with saamai also before and it was nice. 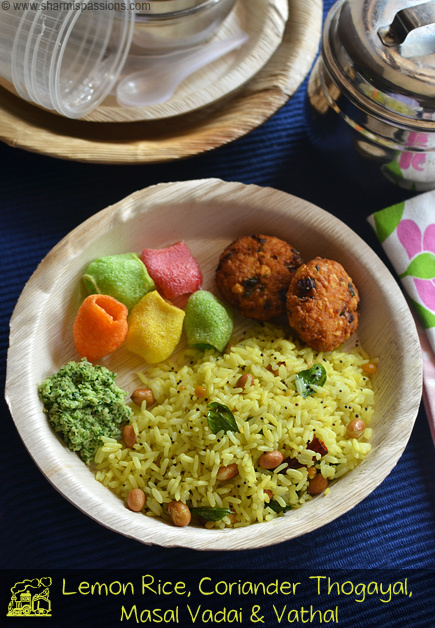 I added little moong dhall with the millets. your's look great as usual. Happy Tamil New year to you and your family ! Healthy fibre rich payasam, happy new year wishes. Thats awesome sharmi….happy new year to you too.. btw, can we meet at chennai if you are available free? 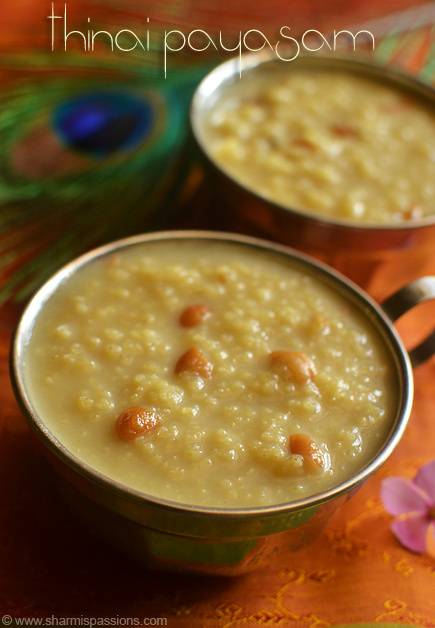 Happy New Year to you…..Payasam sounds new to me….but looks yum…. It's such a joy to look at your photograph with the peacock feather. Amazing click! i learned cooking by seeing your recipes…thank you..